Thank you Asda for the donation. 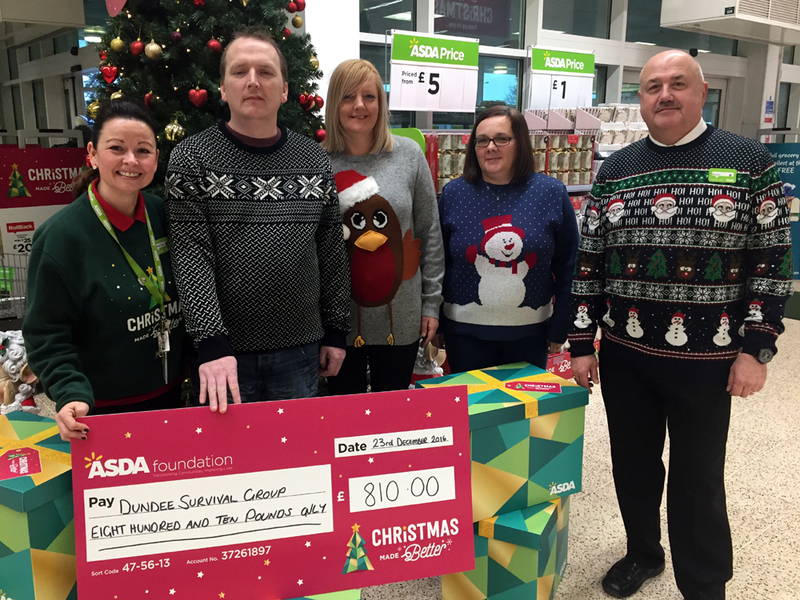 DSG were able to make Christmas an even better Festive time for Service Users. Dundee Survival Group provide housing and housing support to homeless people. Our aim is to help people to overcome the stigma and effects of homelessness and empower them to live independent lives in the future. Asda’s kind donation allowed us to purchase a variety of items to fill gift bags for our service users to open on Christmas Day. The festive time can be a lonely time for people in temporary homeless accommodation, especially for those without family support, the donations from all our supporters helped to bring some festive fun to all our residents.